Receiving an unfavorable disability decision from a Social Security administrative law judge (ALJ) can be disappointing, especially as you struggle to understand the judge’s rationale for the denial of benefits. The language and legal jargon in Social Security disability decisions make them nearly impossible to understand without the help of a Social Security disability lawyer. An experienced Los Angeles Social Security Disability Lawyer can help you in the process from start to finish. In southern California, if your claim to Social Security disability benefits is denied by a Social Security administrative law judge, let experienced Los Angeles Social Security disability lawyer Tony Adderley work on your behalf to litigate that unfavorable disability decision and obtain your disability benefits. Attorney Tony Adderley has been practicing as a Los Angeles Social Security Disability Lawyer for many years. Being a social security disability attorney, he also provides advocacy services to those seeking Social Security Disability. Is the evidence to support the judge’s decision substantial? Did the ALJ’s decision contain an error of law? Did the ALJ abuse his or her discretion? To increase your chances of winning disability insurance from the Appeals Council, you must have an experienced Social Security disability attorney handle your case there. Only an experienced Los Angeles Social Security Disability Lawyer will know how to handle such a case. If the Appeals Council denies your request for review or upholds the ALJ’s decision, you may file a lawsuit against the Commissioner of Social Security in federal court. The federal court typically reviews an ALJ’s ruling only for errors of law, although your chance of overturning an ALJ’s ruling at the federal court level are greater than at the Appeals Council level. Social Security disability lawyers can explain the process in detail and help you make an informed choice about how best to pursue your disability benefits. In southern California, you are far more likely to succeed if you have an experienced Social Security disability attorney representing you. 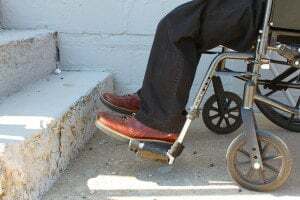 For help at any stage of the process, contact experienced Los Angeles Social Security disability lawyer Tony Adderley as quickly as possible. The social security lawyers at our office provide Free Case Review.